Weary of snow, ice, and winter winds? Ready to forget shovelling, layering up with clothes, and watching the wind chill for a bit? 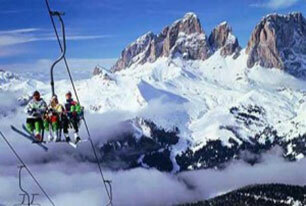 Escape the chilly embrace of winter with Italy Tours and Italy Vacation Packages to Southern Italy. In the south of our beautiful country, along the coast, the weather is a bit milder and usually rainy during the winter months. By March, spring is starting to prompt flowers to bloom and the temperatures creep up higher toward 50 to 60 degrees Fahrenheit (10 to 16 degrees Celsius). The high season to travel to Southern Italy is from late spring to the end of the summer, but if you venture a bit earlier the benefits include fewer tourists, an easier time booking accommodations, and potentially some cost savings. The weather may be a bit of a gamble, but sometimes Mother Nature cooperates and gives more days of sunshine than rain with early springlike weather. If you plan your trip to Italy with the idea of possibly unpredictable weather in mind you’ll be able to find plenty of indoor diversions for your vacation in the event it is wet and grey outside, particularly if your holiday includes some of our exciting Naples tours. 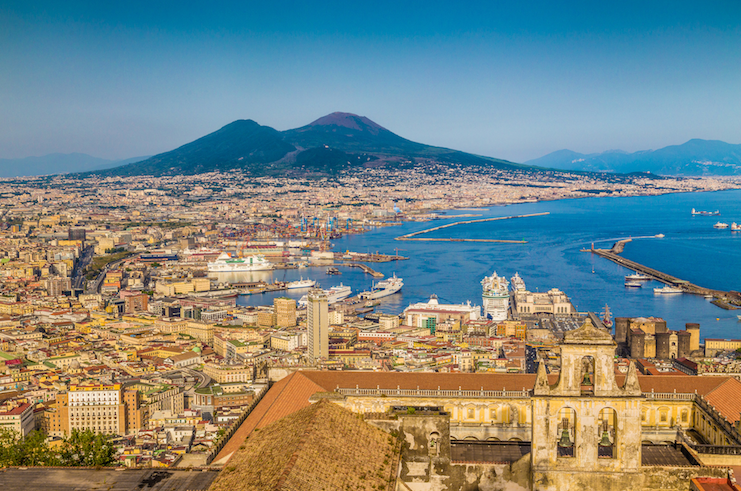 The capital of the Campania Region, Naples boasts fine architecture, interesting museums, and wonderful restaurants with authentic Southern Italian cuisine. You might know Naples as the birthplace of pizza, but the preservation of its centuries-old buildings and culturally significant institutions is important to the global community. The United Nations Educational, Scientific and Cultural Organization (UNESCO) has designated the entire historic city centre as a World Heritage Site. From Naples it is easy to create a custom itinerary or book one of our private or small group day trips to tour the stunning Amalfi Coast and visit the ancient ruins of Pompeii. At Avventure Bellissime we are proud to have consistently positive feedback from travelers, which has helped us achieve the honour of 2013 and 2014 Certificate of Excellence from TripAdvisor. We can’t take credit for the wonderful destinations and gorgeous scenery in Italy, but we firmly believe the secret to happy travelers rests with our exceptional and knowledgeable licensed tour guides. Steve M. of California, USA praised Avventure Bellissime on TripAdvisor, saying his experience with an 11-day tour of Rome, Pompeii, Sorrento, Positano, Florence, Pisa, Bolgheri, Venice, and Cortina in the Dolomites was a, “Beautiful adventure indeed.” He raves that while he and his sister and their spouses have traveled together dozens of times, this was, “absolutely the greatest trip of our lives.” Not only did they find every transfer or tour ran like clockwork, he says, “Every driver and guide were a pleasure, knowledgeable, spoke fluent English and absolutely great to get to know.” They found their busy itinerary, “effortless” and he says, “I can't say enough about the the brilliant planning by Avventure Bellissime. I would definitely use them again and wish they covered other countries.” If you would like a similar trip, we recommend our 12-Day Magic of Italy Vacation Package. A New Jersey, USA traveler known as 44Zebra on TripAdvisor took our 10-Day Amalfi Coast Italy Vacation Package in 2014 with her husband and gave Avventure Bellissime five stars for their “Wonderful 10 Day Vacation!” Their personalized transfers were “perfect” as were their train reservations. They found the, “tour guides...impressive with their expert knowledge...very personable and friendly” and enjoyed a special tour they booked from Naples to Herculaneum. 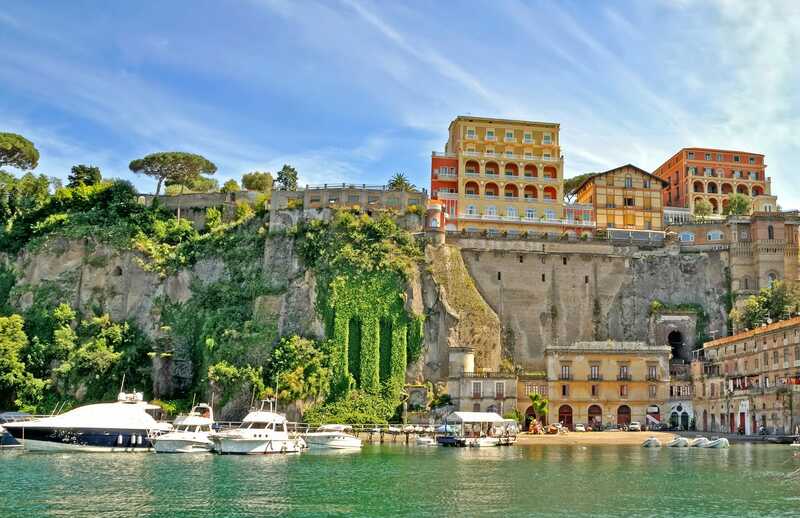 Additionally, they were always able to reach Avventure Bellissime staff and found everyone “professional and compassionate” and “recommend [Avventure Bellissime]...for the first time or returning visitors.” If exploring the Amalfi Coast is your wish, we recommend our Private Naples to Amalfi Coast Trip. Her happy experience with this trip is echoed by Erika L, who gave it five stars when she posted her review on TripAdvisor in December 2014. She says, “The tour to Pompeii & the Amalfi Coast was AMAZING! 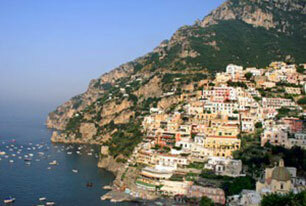 Exceeded expectations.” She compliments the tour guides and stresses the Amalfi Coast is, “So incredibly gorgeous!! The views are breath taking.” Erika L says this day trip was the highlight of her visit to Italy and recommends that even if you are, “on a budget…[the trip] was definitely worth it.” Our Avventure Bellissime guides hear repeatedly that visiting the ruins of Pompeii is a life-changing experience. Are you ready to escape the snow for early spring in Southern Italy? Contact the Avventure Bellissime team for help planning your next Italy trip, Amalfi Coast tours, and other exciting excursions. Note that we have SPECIAL OFFERS ON SEMI-PRIVATE VACATIONS - WHEN YOU BOOK BEFORE THE 19TH MARCH YOU SAVE 15%.